RCMP Sgt. Brent Hillier remains under investigation, but a criminal charge has now been laid against his son after a car crash in Upper Island Cove. 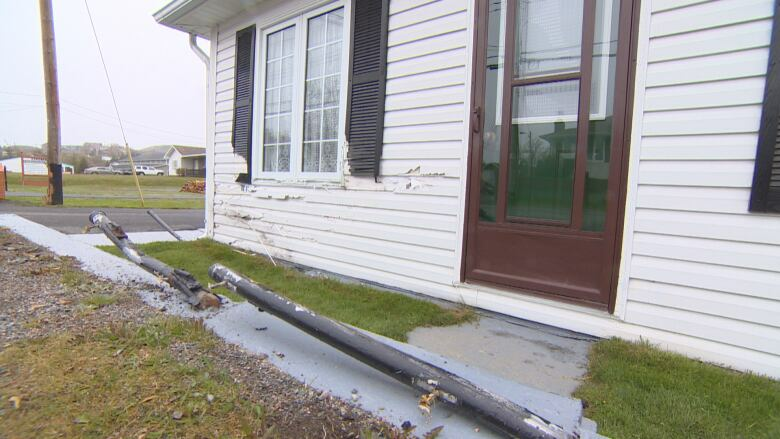 Charges have been laid against a man after a car crash in Upper Island Cove, and his father — who was the first responding RCMP officer — is being investigated by the Royal Newfoundland Constabulary. Brent Hillier Jr. has been charged with dangerous driving and operating a vehicle without insurance, the RCMP confirmed on Thursday. He allegedly plowed through a fence and into a home on a narrow street off the main road through the community. The driver's father, Sgt. 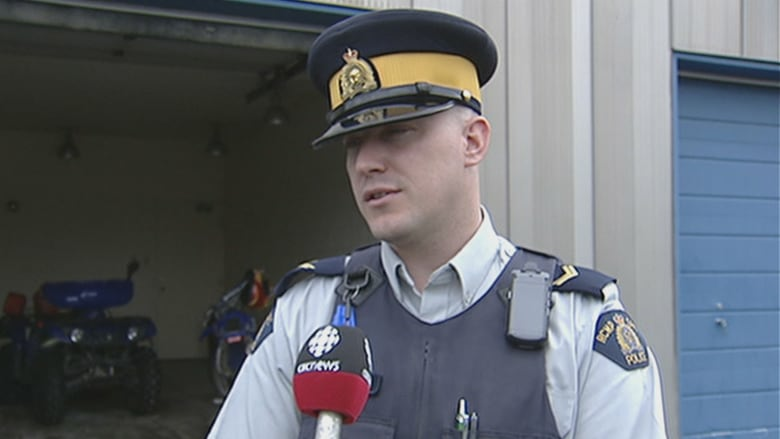 Brent Hillier of the Bay Roberts RCMP detachment, responded to a call of a suspected impaired driver, but police and the homeowner have different accounts of what happened from that point on. The RCMP said Hillier Sr. did not realize the driver involved in the crash was his son until he arrived at the scene — at which point he passed the investigation of the collision to another officer. But the homeowner told CBC News that when he arrived home and found his fence destroyed and house damaged, Hillier was the only officer on the scene. The man said he realized the family connection between officer and driver, and asked to speak with another RCMP officer. Brent Hillier Jr. left the scene of the accident without being arrested, but it is not clear how he left or if he left in his own vehicle. He is scheduled to appear in court in Harbour Grace on Aug. 8. Hillier Sr. has been placed on administrative duty while the investigation is underway, an RCMP spokesperson confirmed to CBC News on Thursday. Five days after the crash, RCMP asked the provincial government to assign an external body to take on an independent investigation of the officer's actions. The RCMP said that request was made "in the interest of transparency and public confidence." The Department of Justice and Public Safety assigned the Royal Newfoundland Constabulary to investigate the officer's actions. The RCMP's major crime unit, based out of St. John's, is investigating the crash.